Learn how the sub project point can be used and see it in action with the sample projects. What is the Sub Project point? The sub project point can be added to an existing project which will allow you to select another project to be linked as a sub project. This creates a relationship between the two projects where the existing project is the parent of the sub project. When creating a session in the parent project, the user can create new sessions for the sub project that will belong to the parent session. When a parent session is sent, duplicated or deleted this action will also apply to the parent’s child sessions and any child sessions of those sessions and so forth. This useful point enables you to build a form where a parent session can contain many sub sessions and can be configured to copy data from the parent session into new sub sessions. The sub projects can be chained together with more sub projects to create a structure of your own design, with as many levels of sub projects as desired. Allows you to link multiple projects together so that sessions can be created in a sub project that are associated with a session in the parent project. Supports adding multiple sub project points to a project to create many sub project relationships to the parent project. Supports adding sub project points to child projects to create a hierarchy of sub projects. Settings in the designer allow you to configure the language used to describe the relationship between the parent and sub projects to the users on the mobile device. Can be configured to automatically copy data from a parent session into any newly created child session. Below is a diagram which demonstrates just some of the ways in which you can create a hierarchy of projects, using multiple sub project points. The diagram on the left shows the structure used in the sample projects that are used later in this tutorial to create the relationships between Buildings, Rooms and Assets. The diagram on the right demonstrates a more advanced structure where a parent project, Sale, has multiple sub projects which also contain sub projects of their own. The sub project point can be configured in the Mobile Data Anywhere Designer to customise the labels and buttons that are displayed in the mobile application as well as to configure points to be shared with new child sessions. 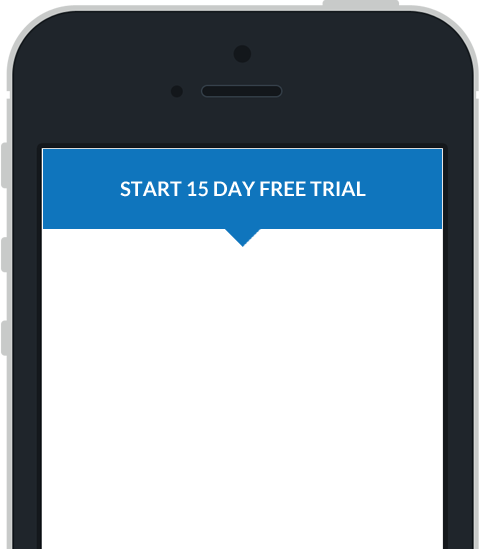 Below is an example of the properties window for a Sub Project point, opened in the Mobile Data Anywhere Designer. The client view options allow you to configure the language that is used to describe the relationship between the projects that are linked using a sub project point. These settings will be used in the mobile application to describe the child sessions in a more meaningful way. Points to Copy Values Into Child Sessions allows you to select points from the parent project to copy their values into new child sessions. To ensure each value is copied into a new child session, the sub project will need to contain a point with the same ID as the point that is being copied. In addition to copying values from custom points there are some additional values that can be shared with a child session. To copy these values into a child session you will need to ensure the sub project contains a point with the corresponding ID. A point with the ID __parent_project__ will be populated with the project filename of the parent project. A point with the ID __parent_guid__ will be populated with the parent session’s unique identifier (GUID). This sample simulates an asset auditing form which is used to collect information for assets that are assigned to rooms in a particular building. This sample contains three projects; Buildings, Rooms and Assets. The projects are linked together using sub project points so that a building can contain many rooms and each room can contain many assets. These sample projects are setup using the structure outlined below where Buildings has a sub project called Rooms which in turn has a sub project called Assets. This project is considered to be the parent project because it is the highest project in the hierarchy. This project contains a sub project point called Rooms which is used to link to a child project rooms.ppc. In the mobile application, this will enable the user to create many Room sessions that belong to a Building session. When a Building session is sent, deleted or duplicated this action will also be taken on all child sessions in the Room sub project, cascading down to any further sub projects as well. The sub project point has been configured to copy the value of the Address point into child sessions. When a new Room session is created, the value of the Building’s Address point will be copied into the Room’s Address point. For more details see here. You can add a Logic Point to the sub project to wait for the Address point to have a value before showing or hiding a point. This project is referred to as the child project because it is the second project in the hierarchy. Any sessions created within this project will belong to a Building session, which is referred to as the parent session. Many sessions can be created that belong to the same parent session. In the context of the simulated building asset audit, this allows the user to collect data for many rooms in a particular building. The sub project point has been configured to copy the value of the Address point into child sessions. When a new Asset session is created, the value of the Room’s Address point will be copied into the Asset’s Address point. For more details see here. Values can be copied from a parent project to a child project and then those same values can be copied into a grandchild project. This sample demonstrates this with the Address point being copied from Buildings to Rooms to Assets. This project is referred to as the grandchild project because it is the third project in the hierarchy. Each session that is created within this project will have a parent Room session. In the context of the simulated building asset audit, this allows the user to collect data for many assets that are located in a room, in a particular building.